Lampshade Parade is based in the heart of the Chiltern Hills in Buckinghamshire. Our workshop is a light and airy studio set amongst roaming woodlands and provides inspiration and stillness in equal measure, which is entirely befitting to making things by hand. 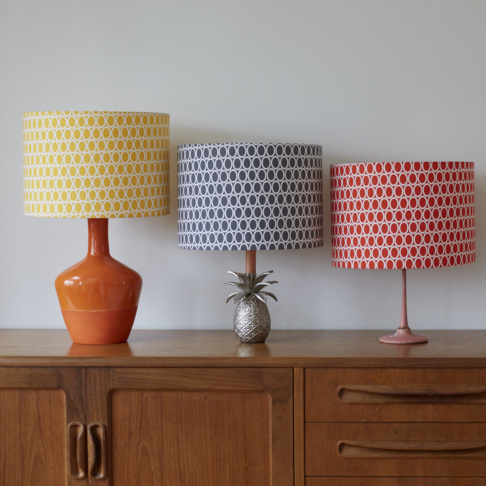 After years of working successfully in the travel industry, Katrina de Toney, company founder, turned her keen eye for textiles and her instinct for worldwide trends into her dream of creating traditional, handmade and lovingly produced lampshades that add the ultimate finishing touches to any style of home. We are proud to say that all of our lampshades are handmade in England with the finest quality crafting fabrics and tools available. Founder, mum of three beautiful children, owner of one excitable cockapoo and obedient servant to a cat named Hollis.